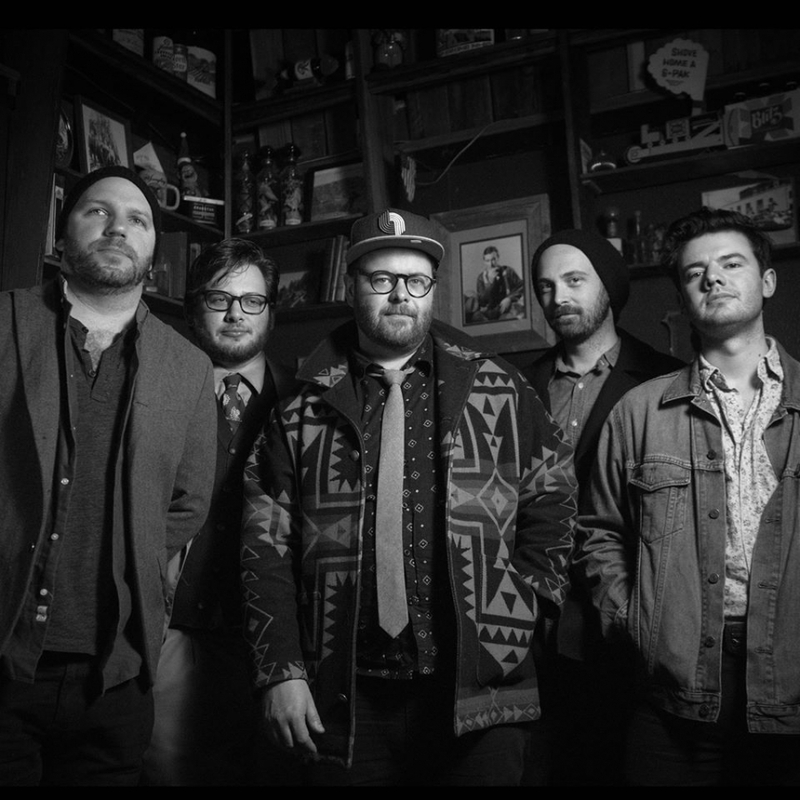 Some weeks ago, the alternative indie rock band The Domestics began promotional efforts for their upcoming September release, a full length titled Little Darkness. At first, the band's endeavors were just as normal and innocent as the next, but it was revealed yesterday and blown up today how wrong of a turn their promotion took. A few key players in the music scene began posting to social media on Wednesday, 8.17 about how they received a tape in the mail, marked as confidential "Trump/Comey Recordings" with Russian script in the background. The actual audio on the tape wasn't much but audio from Little Darkness betwixt ramblings from Trump and clips of someone speaking in Russian. What was on the tape wasn't really the issue, it was the return postage that's caused much of the stir. The 60-63 sent out tapes were marked with return addresses to some of the most troublesome organizations currently active - the KKK, Westboro Baptist Church and InfoWars, the somehow popular media site ran by Alex Jones. Some of the posts circulating claimed that all of the tapes were sent to Jewish members of the music community. The Domestics took to their Facebook page to address the issue, with their record label, local Tender Loving Empire (TLE) and Silver Morning Management sending a statement to music outlets. Having many larger scale media sites covering the story, including Pitchfork, Vulture and the first to report it, Paste Magazine, meant the band had to respond quickly and effectively. A collective run-through of the statements concludes that the tapes were predominately sent to "right wing media" as a means of trolling them. "The mysterious packages were marked with the return addresses of Info Wars, The KKK’s headquarters, and The Westboro Baptist church in hopes that any tape that bounced back in the mail would end up flooding the mailboxes of these bigots," part of The Domestics' statement reads. Frontman Michael Finn also told Paste that he and the rest of the band were unaware of the exact return addresses used, placing blame on TLE and its Sync-Licensing And Operations Coordinator Jed Overly, also of the band Astro Tan. Overly, who is African American and Jewish, released his own statement on the TLE purchased domain trumpcomeytapes.com. "It was never my intention to alarm or frighten people," part of Overly's statement read. "Our sole objective was to pique interest in The Domestics. No one at The Domestics, Silver Morning Management, or TLE knew about the chosen return addresses. I had made a last minute decision to change return addresses and thought it was obvious that this was a gag, and I could not have been more wrong." He goes on to say how the addresses he used were bogus and how he thought because the tapes were postmarked from Portland, the return addresses and concern surrounding them would make the whole thing "humorous or mysterious at worst." Overly takes the complete fall for the PR mishap, saying how he had no idea many of the tapes' recipients were Jewish. "To reiterate. This was a marketing campaign that was trying to get press for a really great band that I believe in. It was in poor taste to use those return addresses without thinking through the possible outcomes," says Overly. "A lot of people are saying that The Domestics or TLE are dumb for carrying out this campaign, when in reality it was just me who made a dumb mistake. Again, The Domestics, Silver Morning Management and TLE had no knowledge of the return addresses. I am sorry for any anguish and pain I caused." It's clear that this marketing campaign worked in some sort of way, as the band has gotten much attention for the stunt. But, as what should have been learned from Yacht's PR flub last year, not all press is necessarily good press, and this may not work out the best for the band or label in the end. Little Darkness is out on September 1. 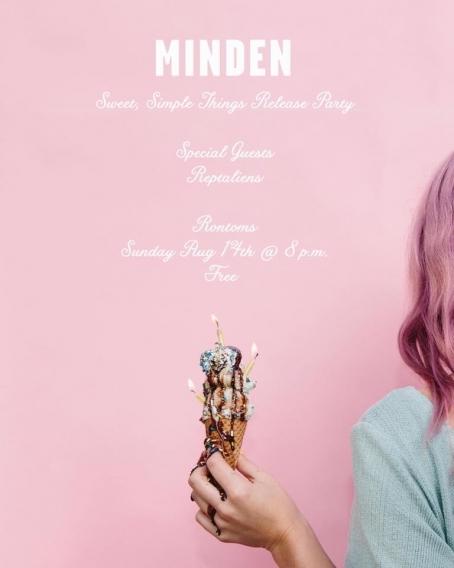 Just in case you didn't get to make it out to HOMIEFEST 3 Friday and Saturday, you've got second chance to catch the Domestics and yet another Papi Fimbres affiliate, the established groove pop group Minden, play on Sunday at the next Rontoms' Sunday Session. Sweet, Simple Things, the anticipated followup to last year's Saint, dropped on August 5 and continues to show Minden as the indie pop group that's got a bit of soul. This week's Sunday Session is a celebration of the album's release, and they'll be joined by the Domestics and Reptaliens (just days before they head out on tour) for the party. As always, the Sunday Session is free, 21+ and starts at 8pm. Stop by Rontoms tomorrow and enjoy the last fun thing happening this weekend. 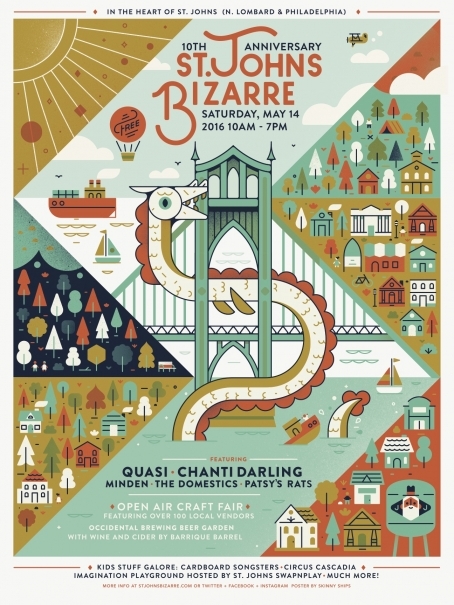 The 10th annual St. Johns Bizarre is coming up with a pretty stacked lineup of varied Portland acts. 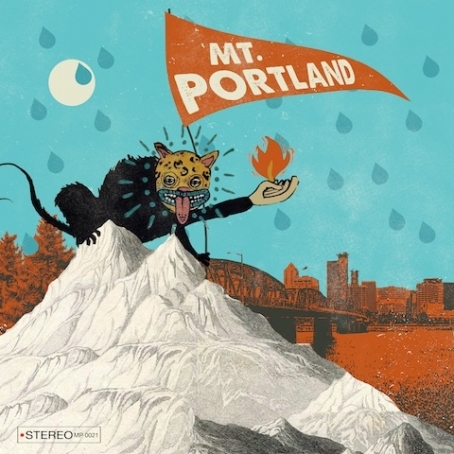 The nine hour neighborhood festival will be headlined by old school Portlanders Quasi, on their only West Coast appearance for their upcoming tour in support of the repressing of three of their classic LPs. 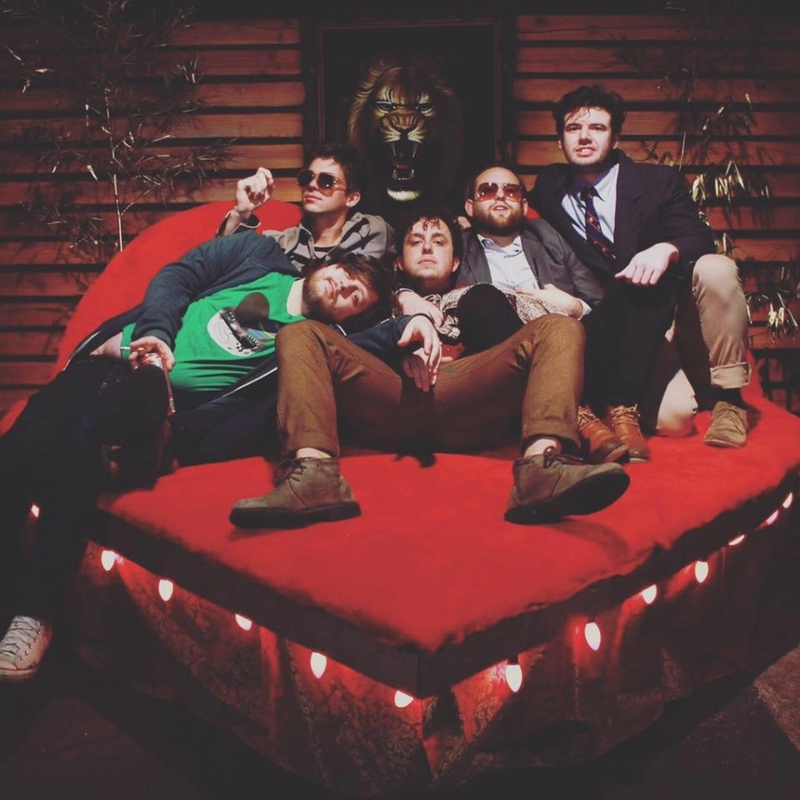 Best new artist Chanti Darling will also soulfully take the stage, along with pop rockers Minden, a nice bit of indie-folk with the Domestics, and the lighthearted garage pop of Patsy's Rats. The St. Johns Bizarre will also feature over 100 local vendors for their expanded craft fair, the first appearance of Circus Cascadia teaching circus skills like tightrope walking, stilting and clowning, and of course, their locally sponsored beer (and cider!) garden. Downtown St. Johns will be blocked off from 10am-7pm on May 14th for the free event, in conjuncture with the St. Johns Parade.